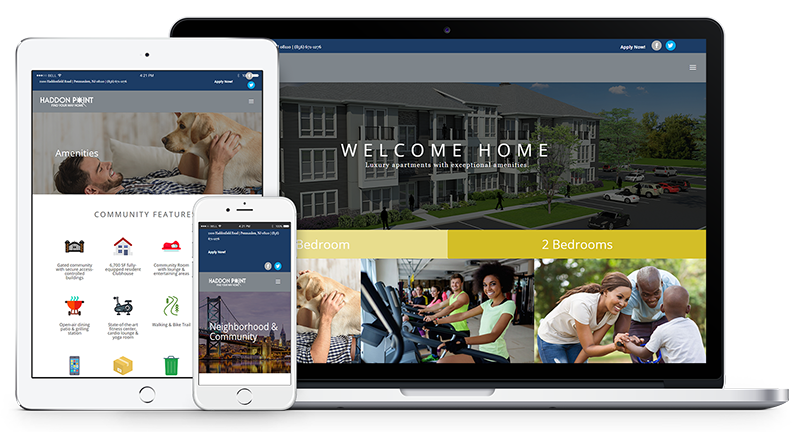 Discover the new Haddon Point apartments in Pennsauken, New Jersey. Luxury apartments with exceptional amenities. Free community wide wireless internet and smart home appliances sets us apart from other properties. One and two-bedroom floor plans offer expansive living spaces with open concept kitchens, custom cabinetry, stainless steel appliances and walk-in closets with custom organizers. Residents will enjoy exclusive access to a spacious clubhouse featuring a community room, game lounge, modern fitness center, yoga room, resort-style pool, and grilling area. We are a smoke-free property. 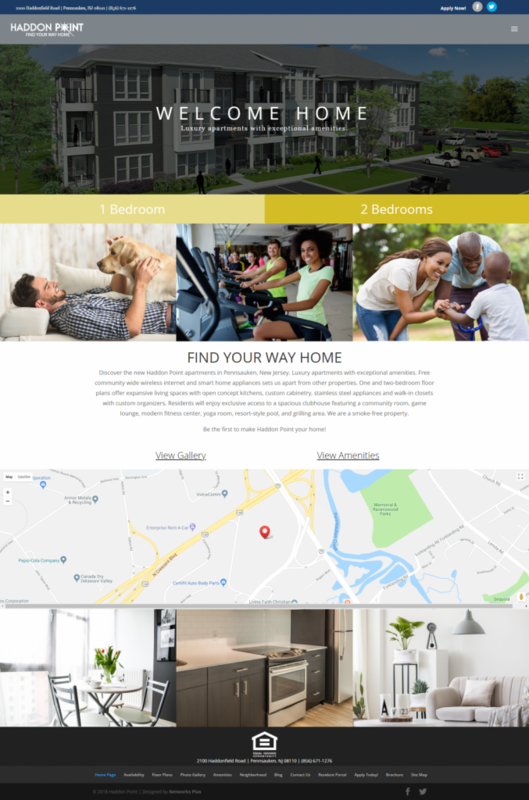 Be the first to make Haddon Point your home!